Team Eric and Joanne Butler. Will Dispute Specialists. Contesting a Will in NSW, VIC or QLD. Free call or Free email me anytime; in or outside normal business hours. Law Society Accredited & experienced in over 5,000 Will Disputes. Recommended by Doyle's Guide to the Best Lawyers in Australia. Recognised international STEP Member Expert in Will Disputes. In NSW the court will take into consideration all property owned by the deceased at the time of his or her death and in addition, under certain circumstances, all property owned by the deceased in the three (3) years preceding his or her death. This 'rule' is referred to as 'notional estate" and is applied only in NSW. It often captures property such as superannuation and other trust funds as well as joint tenancy real estate. In NSW you have 12 months from the date of death of the deceased to make a claim for provision out of the deceased estate however an extension of that time is possible under certain circumstances. Nearly all 'family members' are eligible to claim. In Queensland the court will only take into consideration property owned by the deceased at the time of his or her death, excluding property owned as 'joint tenants', in superannuation and other funds held in trust. A 'dependant' family member may however be entitled to claim a share of superannuation via the Superannuation Trustee or Superannuation Tribunal. You have 9 months from the date of death of the deceased to make a claim however you must notify the executor named in the will within 6 months of death that you intent to make a claim. An extension of that time is possible under certain circumstances. Nearly all 'family members' are eligible to claim. In Victoria the court will only take into consideration property owned by the deceased at the time of his or her death, excluding property owned as 'joint tenants', in superannuation and other funds held in trust. A 'dependant' family member may however be entitled to claim a share of superannuation via the Superannuation Trustee or Superannuation Tribunal. You have 6 months from the grant of probate to the executor named in the will to make a claim. An extension of that time is possible under certain circumstances. You or your solicitor can search the Supreme Court Registry to see when probate has been granted. Nearly all 'dependant family members' are eligible to claim. Defending a contested will is also known as defending a family provision or family maintenance claim and is quite different from defending a challenge to the validity of a will. Defending a will contest is all about the age, health and financial position of 'family members' and whether adequate financial provision has been made for those claimants, especially if they had been dependant on the deceased. Defending a challenge to the validity of the will is all about defending the validity of the will itself on legal grounds such as alleged fraud or lack of mental capacity. In those cases the financial details of family members or 'dependency' is not relevant. Contesting a Will from Start to Finish. If you've been left out of the Will or not properly provided for in the Will I can tell you during one telephone conversation whether or not you have a good case to claim for provision (or further provision) out of the estate. We can discuss the steps and the best approach in these cases including how to settle your claim quickly without any need to go to court. If the family members involved in your case are prepared to settle out of court, documents are prepared in the terms agreed upon for your written approval. If all persons involved are over 18 years of age and have full mental capacity the agreement does not have to be approved by a court. The legal costs in such a case will be at hourly rates and will depend upon how much time was involved in negotiations. Court to approve settlement agreement. However if there are persons involved who are under 18 years of age or who do not have full mental capacity, any settlement will have to go to court for the court to approve. This means documents (sworn or affirmed affidavits) will have to be prepared by the solicitors on each side in the manner stipulated by the rules of court sufficient for the judge to read and understand the various financial needs of all family members concerned. The settlement agreement will only be approved if the judge is of the view the settlement is a proper settlement and in particular the settlement is in the best interests of any person under 18 (or without full mental capacity). If settlement negotiations are not successful you will be required to commence proceedings with a view firstly of going to mediation. The application is prepared by us and includes an affidavit by you of your evidence. The affidavit will contain information about your finances, health and family history and is filed in court and then served upon the executor of the estate. The solicitor representing the estate will give advice to the executor and will protect the interests of any beneficiaries named in the will. Those family members will swear or affirm an affidavit in response to your claim including full details of the estate and full details of the family members named in the will who are opposing your family provision application. With the evidence from both sides of the dispute now received, all persons involved will have a clearer picture of every one's personal situation, health and financial position (which are the most important elements in these cases). Both sides will again attempt to settle the claim. Whilst negotiations are taking place a date will be set for a compulsory mediation of your claim. A mediator will be chosen although each State has different rules in this regard. Sometimes the judges become involved in discussions with the parties and at this stage barristers also frequently become involved. If the claim is settled at mediation or shortly thereafter (which frequently occurs) the lawyers agree on written terms and when everyone has signed those terms the matter is concluded. Only in exceptional circumstances can there be an appeal, for example if someone fraudulently misled the proceedings. Otherwise the matter comes to an end unless of course the court is required to approve the terms agreed upon. Often, a short hearing at court is required at the request of one or both of the parties for the court to approve the terms of settlement. This can help to give certainty that the matter is forever resolved. After final orders, the matter can only be revisited in exceptional circumstances such as fraud. Mediation usually starts with a round table conference with everyone present. The representative of each team makes a statement putting his or her client's case. There is sometimes further discussion about the points raised and then each team goes into a separate room for private discussion. Throughout the day or half day of the mediation there are continuing attempts to settle the claim. If the claim is settled at mediation or shortly thereafter (which frequently occurs) the lawyers agree on written terms and when everyone has signed those terms the matter is concluded. Only in exceptional circumstances can there be an appeal, for example if someone fraudulently misled the proceedings. Otherwise the matter comes to an end unless the case is such that the court is required to approve the terms agreed upon. If the matter does not settle at mediation the case will be listed for a hearing before a judge. In general terms (remembering every case is different) it might take 6 months to get to mediation and 12 months to get to a hearing). Between mediation and a hearing. Between the mediation and the hearing of the matter before a judge there are endless opportunities to settle the matter. Only as a last resort should anyone allow a case to go to a hearing (in our opinion). For countless reasons going to a hearing is like going into a casino. Frequently, only the lawyers win. Each hearing is by a single judge who has discretion as to the possible orders he or she can make. You don’t know which judge you are going to get and each judge will have a different view of the case. You don’t know how witnesses are going to 'stand-up' under cross examination of their earlier written and sworn evidence. The size of the estate may no longer be as first thought and the circumstances of the participants may have changed. At the conclusion a disgruntled team can appeal the judge's decision and that will delay the distribution of the estate until the appeal is decided, which may be another 12 months or more. Accordingly, where possible, two experienced teams of lawyers opposing each other will always try their best to settle a claim rather than go to a hearing. There would need to be very exceptional circumstances before experienced lawyers would not settle at mediation. Each State has slightly different rules. When contesting a will in Australia each State has it own rules. The rules are very similar but the subtle differences are important. We are experienced in this field of law in NSW, Victoria and Queensland. The supreme court in each state is in the capital city. Getting a copy of the will. Sometimes it is difficult to obtain a copy of a will without the help of a lawyer. Only certain people are entitled to a copy of the will before probate is granted. Those people are usually family members and people named in the will. After probate is granted the document is available to the general public for a fee payable to to the court. Probate of the will is granted to the executor/s named in the will (unless there is a challenge to the actual validity of the will document, for example an alleged fraud, forgery or lack of mental capacity). The executor/s is then responsible for the administration of the estate assets and distribution of them in accordance with the will. ‘Probate’ is the legal term that simply means “proof of the will”. After the death of a person his or her will is not binding upon society until probate of that will has been granted by the Supreme Court of the State where the deceased lived. This means that in many cases, the estate cannot be administered until probate is granted. If there is no will. If there is no will the rules of intestacy will apply and each state have slightly different rules as to which family member is entitled to provision out of the estate. If your share of the estate, according to those rules is not fair or proper you may have a claim for provision. Every case really is different and that is why this law can be so complicated. There are traps and pitfalls everywhere for the inexperienced. Contesting a will firstly involves an agreement between all concerned that the will is valid. Only then can everyone concerned identify whether the will is fair. People frequently make many wills before their death so it is important to be looking at the last valid will and not be sidetracked by either earlier wills or invalid wills. I will personally answer the phone and be happy to discuss with you any aspects of your case. Solicitor of the Supreme Court of New South Wales. Listed in Doyle’s Guide to the Best Lawyers in Australia as one of Sydney’s recommended lawyers in Wills and Estates Litigation. New South Wales Law Society Accredited Specialist in Wills & Estate Law. Member of the International Society of Trust and Estate Practitioners. Membership is considered a mark of excellence recognised internationally. Awarded in 2015 (and nominated in 2011 and 2013) for the Law And Justice Foundation Award for Pro Bono work by the Law Society President. 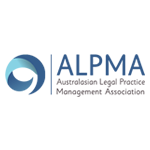 Associate of the Australian Legal Practice Management Association. Member of the Law Society New South Wales. Member of the Law Society Queensland. Member of the Law Institute Victoria. The Court makes a will for a 93 year old man who did not have mental capacity. Daughter in NSW out of time but still successful contesting a will. The ‘rules’ for contesting a will in NSW (but not applicable to spouses or children contesting). Exceptional skills of compassion and understanding. Professional and people are lucky to call you “mate”. I will always remember and hold you in great esteem. A good bloke with a good heart. Thank you for always keeping to your word. Help was wonderful and restored my faith in people. I consider myself blessed I was able to receive your help. I have been repeatedly impressed with your professionalism. Thank you for your free professional advice. Explained the facts concisely without any complications. Would highly recommend you to anyone. Sure to recommend you to my friends and colleagues. Glad I had you on my side at mediation. Will thoroughly recommend you to anyone. Very sensible but protective at mediation. So impressed with your return phone calls to me. So impressed by you trying to protect me. Professional but at the same time caring. Always took the time to have an in-depth discussion. Would not hesitate to recommend you to anyone. Have no hesitation in highly recommending you to anyone. Explained legal costs very clearly. You were right from the beginning Eric. Available day, night and weekends. No words to express my thanks and deep gratitude. Compassion and long and hard devoted hours. Immediate response to my phone calls and emails. Explained things in a language that I could understand. Free help and would recommend you to anybody. Discreet manner handling a difficult situation. Free initial advice delivered the same day as my enquiry. Plain English answers and no complicated legal jargon. Setting out easy to read information on legal fee costs. I have full faith in your integrity. Answered my questions quickly and thoroughly. Very grateful I had someone like you representing me. The first thing that struck me was how approachable you are. Advice in plain English and knowledgeable. Mum still talks about how wonderful you were. Perseverance and especially your patience. Never failed to be transparent and brutally honest. Kept to your word on legal costs. Answered to phone every time I called. Explained it to me so clearly.